We are East Coast bound shortly and I’m looking forward to getting away and seeing lots of friends. We’re heading to Newport and Boston (but staying in Salem for a wedding), two places that I’ve never been, so we’ve been researching and planning for some fun activities. If you have any recommendations, please let me know! 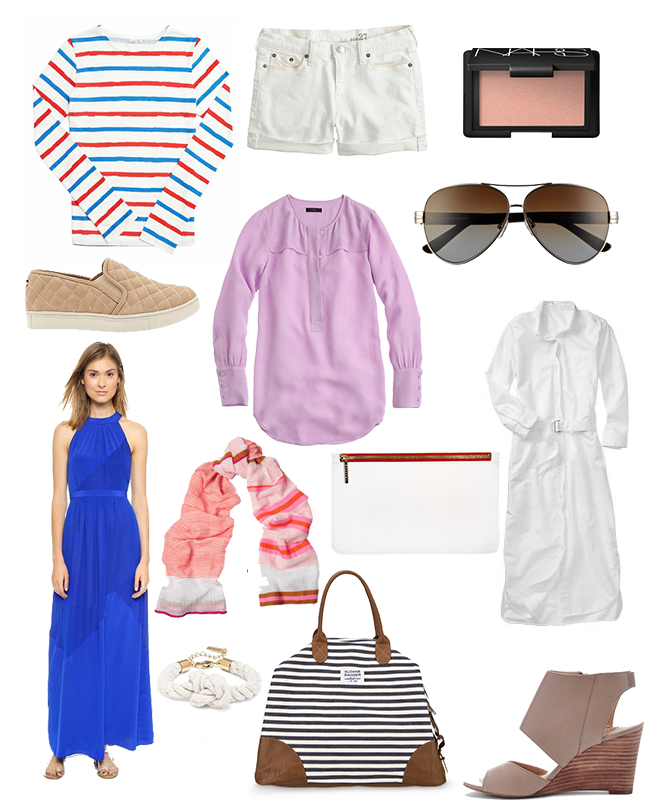 From what I hear, “seaside elegance” is the way to go when it comes to what to wear. Naturally, I think stripes, white (even though we’re post-Labor Day) and a little nautical flair. I can’t wait to share photos and favorites from the trip with you when I get back next week. In the meantime, you can follow along on Instagram!